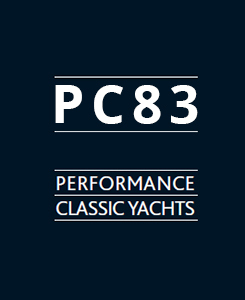 The 83 is either available themed/styled like the PC 66’s or as a Deck house version which in essence will be a development of aluminium 2013 built PC 85 “Windhunter II” but to be built in Carbon with a shallower hull form. 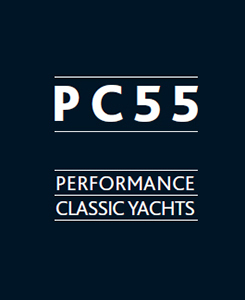 Both models will have fabulous performance in all conditions. Its really a personal decision as to what styling one prefers and maybe what areas one will sail, a nice decision to have to make !! Mazu, 66/01 had a very successful racing debut at the Spetses Classic Regatta. 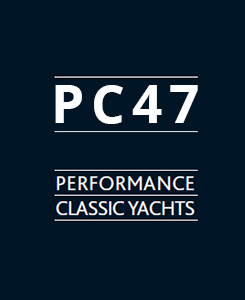 In a competitive Spirit of Tradition class containing a host of 70/80 foot boats she achieved Line Honours in every race and came 2nd overall. The regatta was held in predominately light winds of about 6/10 knts TWS and these designs really excel in theses conditions with their large sail plans and low wetted surface areas. Spetses is a lovely island and the regatta very friendly and well organised. To be built in carbon and with a target displacement of 35 tons she is going to be a flyer with a real emphasis on performance. A carbon mast,boom and rudder as standard together with a deep T-keel promise an exciting and rewarding sailing experience. The deck layout features a very clean and flush look, huge cockpit and sundeck with all sailing systems led aft underdeck with the yacht designed to be sailed shorthanded. The interior is dominated by the airy and light saloon, a spacious Owners cabin forward, 3 further double cabins all with their own facilities and a crew cabin.